Hedcut illustrator Ekaterina Shulzhenko. Woodcuts, stipple portraits and illustrations. 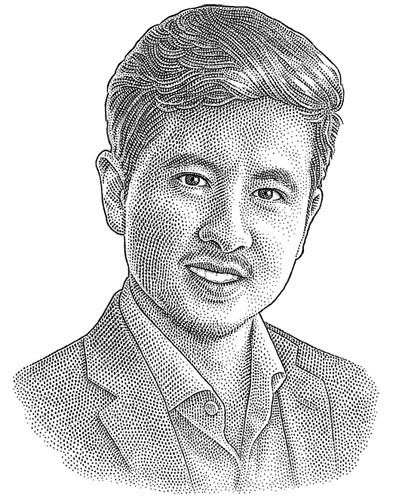 : Hedcut for your business. I created this stipple portrait for one company about a year ago. Few more portraits I have drawn for this firm later. Corporate clients choose 'WSJ' hedcuts to represent their staff on web and information catalogues for different reasons. One and main reason is that engraving technique looks traditional, stable, old-fachioned in a good way and at the same time brings the feeling of timeless. Another reason is technical: woodcut images still look crisp and clear even in a very small size whether it is printed or web page. Stipple portrait of Kang-ho Song (송강호).